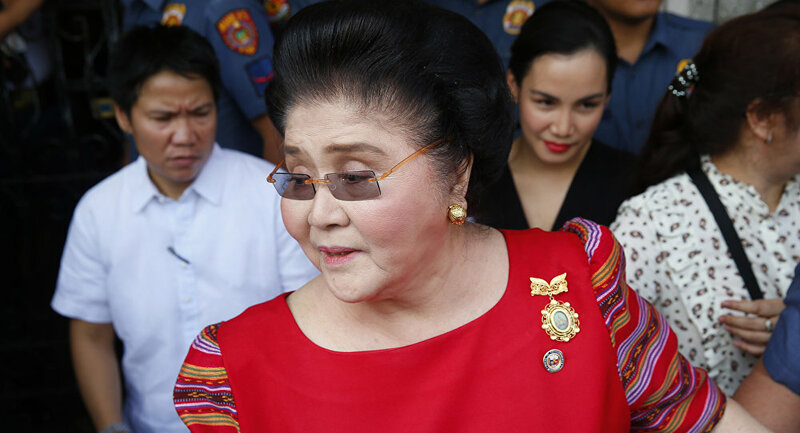 An anti-corruption court in Manila sentenced Marcos, now 89, to serve six to 11 years in prison for each anti-corruption violation after she funneled some $200 million to Swiss accounts during her term as Manila governor between 1978-1984, according to the Week. The charges took over a quarter-century to prosecute because many potential witnesses were already dead. The ruling disqualifies Marcos from holding public office, according to The New York Times. According to legal experts, it is unlikely that Marcos will spend time in jail due to her age and possible appeals. Marcos did not show up in court for her sentencing, and a warrant was issued for her arrest. In a statement Friday, Marcos announced that her lawyer was studying the ruling and planned to file a motion asking for the court to reconsider the arrest, The New York Times reported Friday. Frank Chaves, a now deceased solicitor general filed a statement prior to his death stating that Marcos had used firms in Switzerland to hide the millions of dollars she stole from her country. Loretta Ann Rosales, a former human rights commissioner for the Philippines who was tortured as an activist in the 1970s for objecting to the dictatorship of Ferdinand Marcos, commended the sentence. "I am literally jumping with joy," Rosales said in a recent interview with the New York Post, also adding that the ruling showed that there were still judges "who have helped keep the candles lit through these dark nights and pursued the truth". On Friday, a spokesperson for Philippine President Rodrigo Duterte noted that the president would respect the court's decision. "While we note that there are still legal remedies available to Congresswoman Marcos, this latest development underscores that our country currently has a working and impartial justice system that favors no one," the spokesperson said, The New York Times reported.